Element Residences presents a rare offering of an eight-level tower with whole-floor apartments on Brisbane's riverfront, just one kilometre from the CBD. 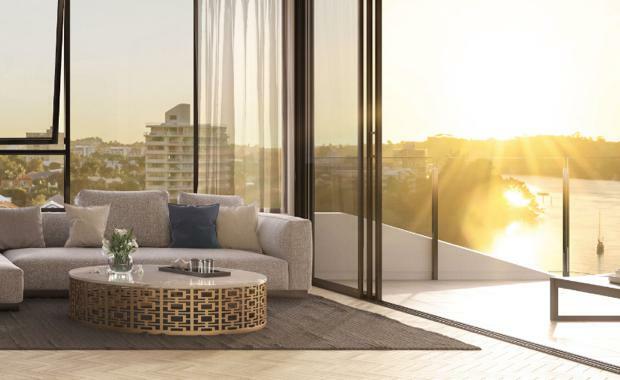 On the border of East Brisbane and Kangaroo Point, the project features an innovative mix of four one-per-floor apartments - each for under $2.5 million with three bedrooms - with the project also containing plans for a three-level, five bedroom penthouse. One-per-floor apartments feature 650 sqm of living space. He said those looking to buy there were looking for privacy and river views, but struggle to tick off their wish list in that price range. "What the find with Element is that they achieve the view, the one-per-floor, and that's nearly impossible to get for less than $2.5 million anywhere in Brisbane," he said to The Courier-Mail. Developers Alphaprop pride themselves on delivering boutique developments to Brisbane’s residential sector. A bespoke company specialising in the local area, Alphaprop have tailored their skills to provide well sought developments in inner Brisbane suburbs. Real estate agent Simon Caulfield is a key player in Brisbane’s high-end residential market. Simon is well versed in understanding buyers demands and needs to achieve the perfect outcome for their new home. Setting the benchmark for real estate excellence in Brisbane, it is a genuine and trusted approach that sees Simon involved from the outset of many prestige developments.